Many of the freestone rivers on Colorado’s western slope are susceptible to drastic temperature changes throughout the year. The very lower section of the Eagle River, for example, can get as warm as 75 degrees Fahrenheit in August and can dip as low as 33 degrees in December and January depending on the weather. Many anglers believe that the frigid water makes the fish lethargic and puts them down. They are only somewhat correct. 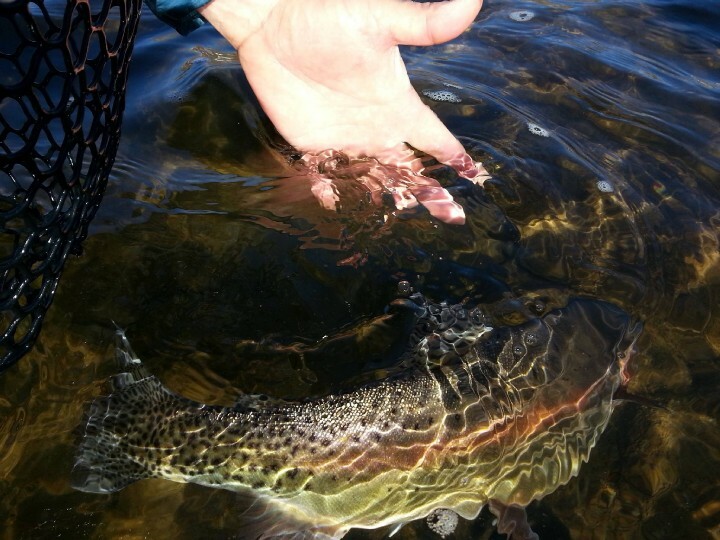 Trout still need to eat most days, and they need to expose themselves to do so. So the question becomes, “What kind of water should I focus on to catch more fish?”. The answer can be simple when you think carefully about temperature, oxygen, protection, and food. Cold water can hold much more dissolved oxygen (DO) than warm water. Oxygen solubility is measured in mg/L. When the eagle is at 65 degrees Fahrenheit the water becomes saturated with oxygen much faster and can hold approximately 9.2 mg/L of DO. This forces fish into the fast water, where the oxygen is dissolving forcefully through the air. Once that temperature drops into the low 40s (and it does very fast here in the mountains) the water can hold close to 12.8 mg/L of DO. With plenty of DO in the slow water there is no need for trout to waste energy living in fast pockets. They are not necessarily lethargic, they may just be feeding in slower water at the back of the runs and pools. The most common and sometimes only food source for trout in the winter months is tiny midges that hatch only for a few hours each day. The midge hatch is pretty reliable but the reward is small. Fish need to capitalize on as many of these little morsels while using as little energy as possible to stay alive. The slower water gives them that opportunity. 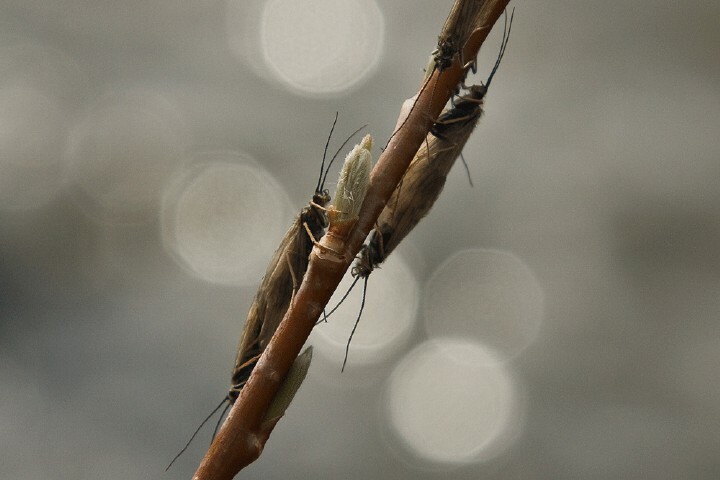 They often times hang out near the surface and feed on clusters of adult midges with each rise. If you aren’t seeing any fish break the surface you may need to set up a deep nymph rig with tiny midge larvae to get to the trout. Don’t think that because you are fishing subsurface that you need to be in a fast seam or riffle. A dead drift in water that is barely moving with little midges can be deadly when the water is cold and the fish are not rising. Depth and shade are also important. Many times when fish are feeding on midges on the surface, they will do so better in a deep, shady pool rather than a shallow, sunny one. Shade and deep water provide protection from airborne predators and anglers alike. 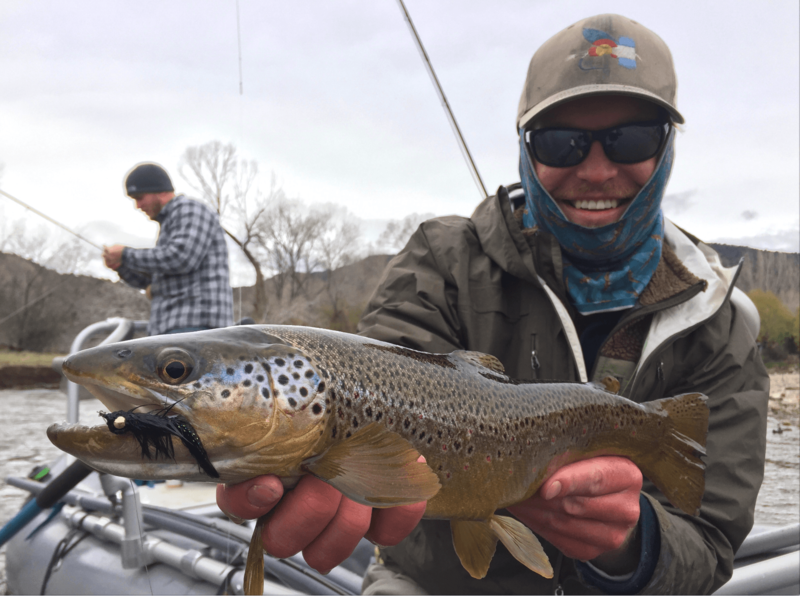 Winter fly fishing requires a huge change in technique as well as a change in the way we look at a river. 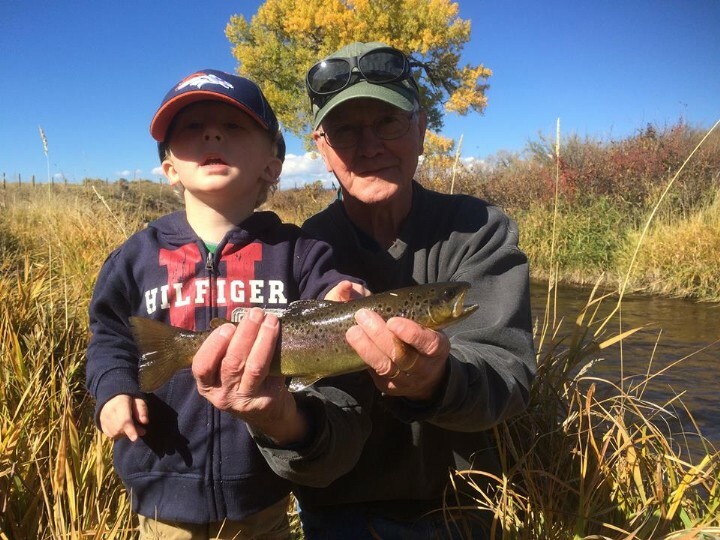 That juicy riffle or fast pocket may not be holding the same fish that were there all summer long. Chances are, they moved back and are resting easy in slow water. Previous post Why Is It Important To Practice Casting? Next post What Are the Best Weights for Fly Fishing?